What’s the best way to cure a gloomy day? A trip to the library! Based on the hit song by Tom Chapin and Michael Mark, here is an affectionate, exuberant, uproarious celebration of books, reading, and—SHHH!—libraries! The rain is pouring, Dad is snoring, and the same old stuff is on TV—boring. What is there to do today? Go to the library, of course! Who will we meet there? Let's find out! Tom Chapin has entertained, amused and enlightened audiences of all ages for more than forty years and through twenty-two CDs, eight Grammy nominations, three Grammy awards, and thousands of live performances. A pioneer in the field of children’s music, he is also a respected singer-songwriter and a strong advocate for the arts in education. Tom lives in Piermont, New York. Find out more at TomChapin.com. Michael Mark is a musician, composer, and actor whose accomplishments include a Drama Desk Award as a Featured Actor in the Broadway Musical I Love My Wife, and the composition to the theme song for the long-running TV show Entertainment Tonight. For more than thirty years, Michael has written, toured and performed with Tom Chapin, sharing in Grammy nominations for Tom’s albums of family music. He lives with his wife, Mary, a reading specialist, in New York. Their two children, Noah and Ronen, are out in the world having successful, creative lives. Chuck Groenink is the illustrator of The Backwards Birthday Party and a few other books. Originally from the Netherlands, he now lives with his wife and cats in Valatie, New York. When not drawing pictures for books, he likes to read, bake bread, or go hiking, and he wishes he could play the banjo. Visit him online at ChuckGroenink.com. * "This cheerful picture book opens on a rainy Saturday morning.... Written in 1989, with upbeat lyrics, natural-sounding rhymes, and a catchy tune, the song “The Library Song” creates a surprisingly good text for a picture book. The words can be read aloud easily, as the cadence is evident when the words are spoken, but the effect is more magical when the words are sung (the tune is readily available online). Groenink...magically brings the song to life on the page through his pleasing pencil-and-digital artwork. From the rainy-village street scene to the library interiors to the child’s cozy bedroom, the pictures are well structured and full of intriguing details for children to find and enjoy. Fun for story hours and satisfying for reading one-on-one." "Chapin and Mark's "Library Song" is reinvigorated into an inviting picture book.... The digital-and-pencil illustrations are quite appealing.... the singsong-y text and the action...carry the entertaining story. A playful tribute to libraries." 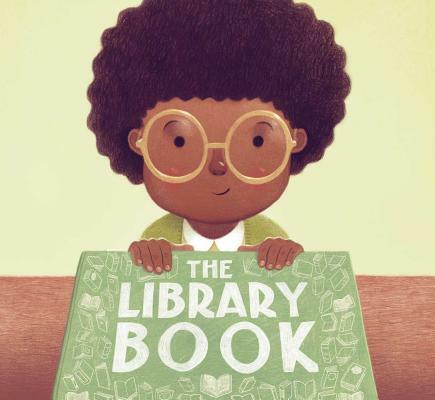 "This picture book uses the lyrics of “The Library Song” as text, then adds digital and pencil illustrations to share a young African American girl’s extraordinary visit to her neighborhood public library. The pictures have a nostalgic feel.... As the girl happily reads away the rainy morning, more and more characters sing and dance around the library, inviting all the library patrons to join in. The “shushing librarian” stereotype humorously is turned around when the girl asks the librarian to stop singing so that the girl can read in peace...a fun read-aloud that will familiarize young children with the library." "Singer-songwriter Chapin follows The Backwards Birthday Party, also illustrated by Groenink, with a second picture book adapted from his extensive catalog.... Even the serious librarian gets caught up in the increasingly rowdy fun, earning her a “shhh!” from the girl, who is ready to start reading. It’s a book that could easily be used in elementary school classrooms before visits to the library, and readers will enjoy spotting recognizable characters in Groenink’s cozy illustrations. This celebration of reading and libraries is sure to charm those who love both."